We use PayPal for credit card payment processing services and it is they who provide the secure credit card handling facilities on their site. ** You do not need a PayPal account to pay by credit card** No credit card details are asked for, accessed or retained by Blue Note Wine or any affiliated or associated company. It is your responsibility to protect your password from being disclosed to any third party. You may also choose to pay by bank transfer upon checkout. We will send bank details in the order confirmation email but we will not ship your order until the funds are received into our account. If in doubt we suggest you contact us or Tel: 0000 0000 (Mon-Fri, 10am-8pm) to arrange a COD before placing an order. 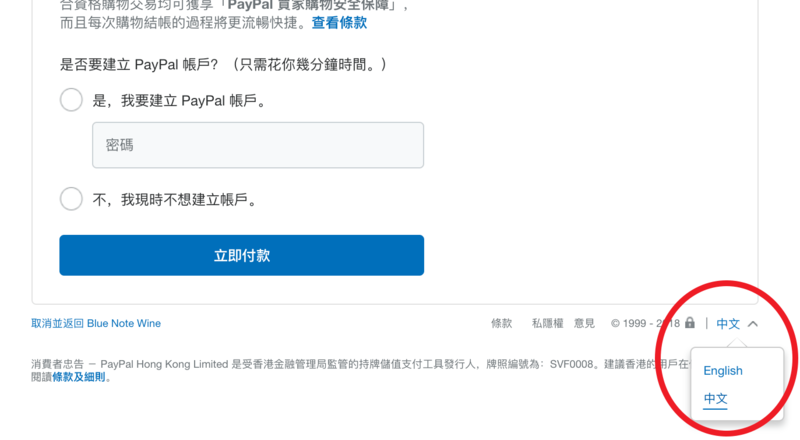 You can change the language by scrolling down to the bottom of the PayPal payment page and clicking the link on right. (See image below). E.g. To change from Chinese to English, cllick the Chinese characters:- 中文 and then choose 'English' from the drop down that appears. You do not need a PayPal account, you can use a credit card in the normal way. 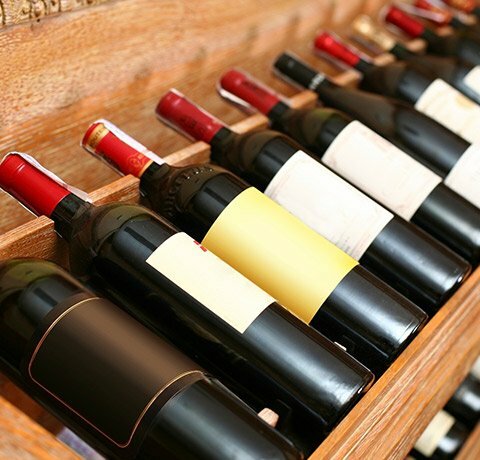 Under the law of Hong Kong, intoxicating liquor must not be sold or supplied to a minor in the course of business By using this site you are acknowledging that the person receiving a shipment of alcoholic beverages from Blue Note Wine is over the age of 18.